meticulously sourced ingredients and aromas to create a distinctive, delicious and fizzy cola. of sugar per 100 ml. 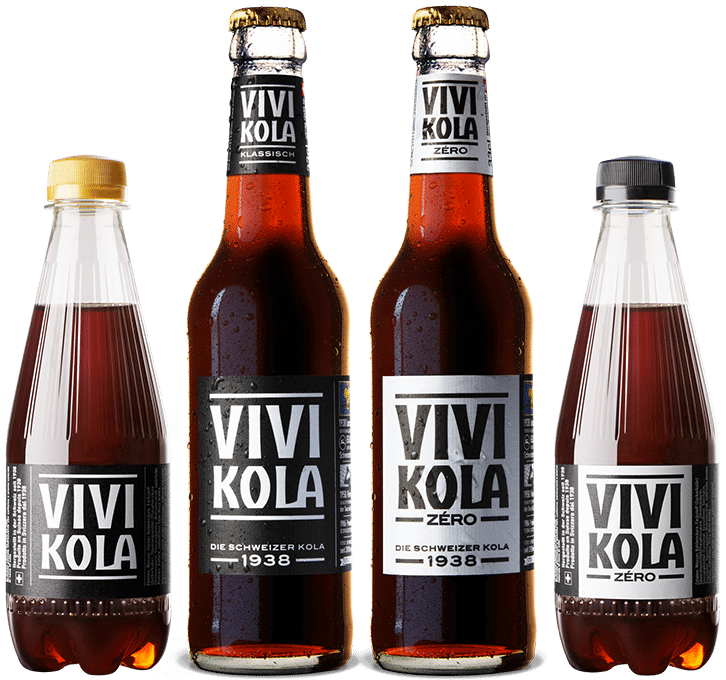 aspartame in Vivi Kola Zéro. bottles up to 40 times. We believe in meticulously sourcing high quality ingredients and fairly compensating our suppliers. Our sugar comes from Switzerland – many people are surprised to know that we produce sugar here in Switzerland. Vivi Kola gets its sugar from sugar beets that are grown mostly in the eastern region of Switzerland. Our Kola nuts are sourced from Cameroon, as it has been in 1938. We are proud to use Fairtrade-certified organic Bourbon vanilla from Madagascar. We use pure Alpine water.